Call Oliver on 0499 001 036 for all your Mortgage and Finance needs. Tuesday March 14th 2017 marked the official opening of our new pavilion and track. 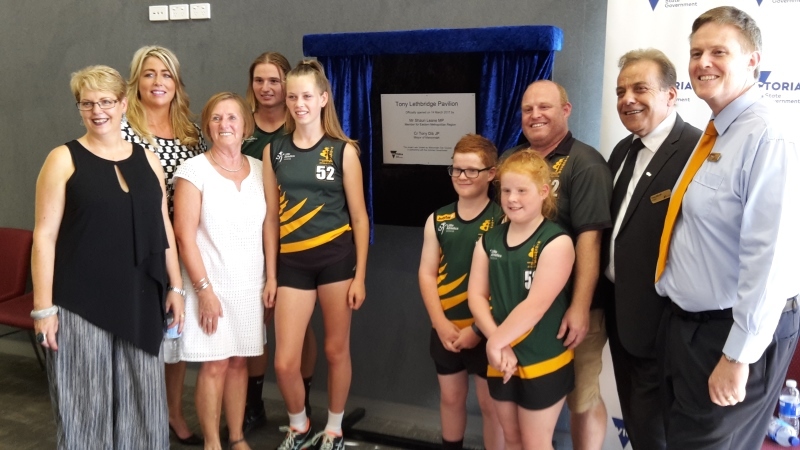 Attended by local politicians, Councillors, council members, LA Victoria and Athletics Victoria representatives and key stakeholders from each of the user groups who use our track, it was a great ceremony. A big thanks to all RLAC families who attended to show our support for such a great initiative. 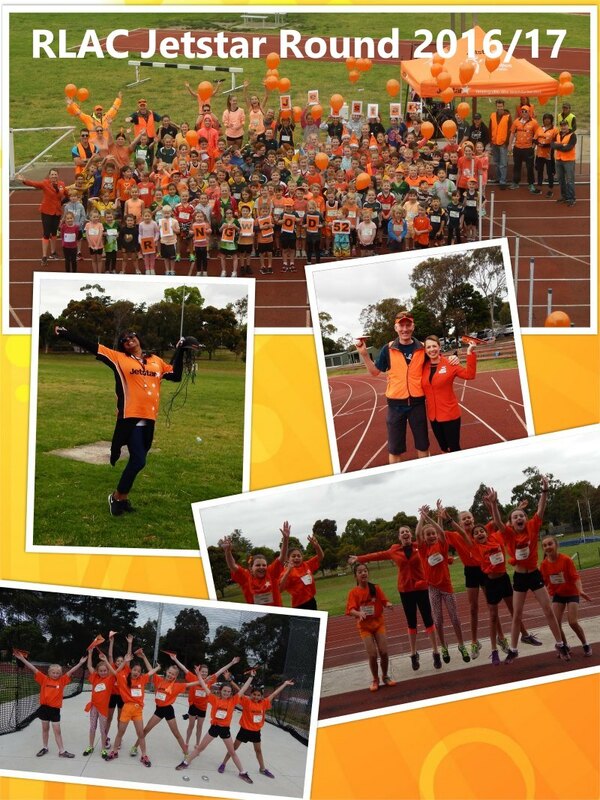 Thanks to everyone that dug out their orange gear for Jetstar round - a sea of orange!! A special thanks to our resident Jetstar Cabin Manager Christine for organising some Jetstar goodies for the day. 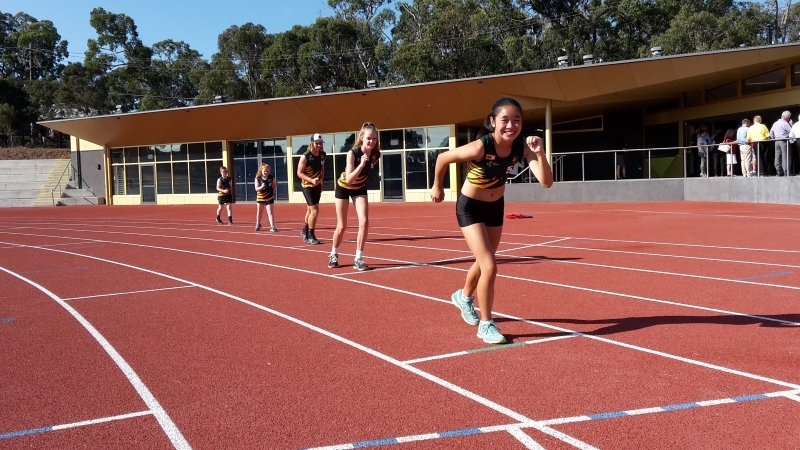 Ringwood Little Athletics Centre recently took part in the Little Athletics Victoria Relaython, a great event with the primary goal of raising funds for the Royal Children's Hospital. Our athletes are always keen to get out on the track, but give them a challenge and they rise to do their very best. RLAC managed 120 laps during the alloted 3 hours, for a total of 48 kilometres!! What a great outcome and much fun was had on the day. While we had great fun, the focus of the day was about raising money for the Royal Children's Hospital. While we are still tallying the takings from our BBQ and Canteen on the day which will be donated to the RCH Appeal, everyone still has the opportunity to contribute on the RLAC everydayhero page. We encourage you to get on and donate - stories from last weekend showed truly how many children (at our centre alone) have received care from the RCH, and how lucky Melbournians are to have such great facilities on our door step. Keep up the donations this week too everyone, as all proceeds from the RLAC Gift will also be going to the RCH Appeal!! The Four Pillars Multi-Event was held on 16th January 2016 and was a great day out!! 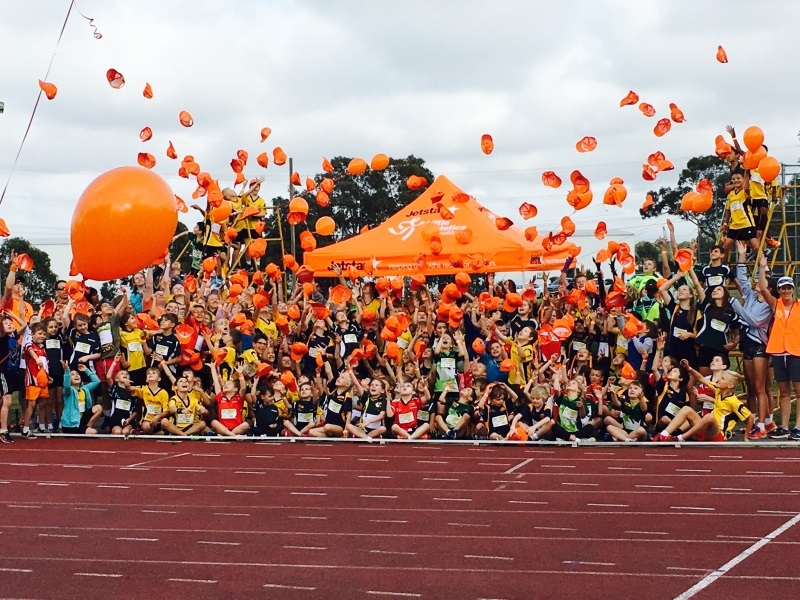 All our athletes competed against athletes from Box Hill, Doncaster and Nunawading Little Athletics Centres. It was great the see the camaraderie on the day between athletes of all centres - plenty of cheering and motivating for athletes regardless of Centre. A photo from one of our parents even made the LA Vic Facebook page as a great example of athletics bringing the kids together. 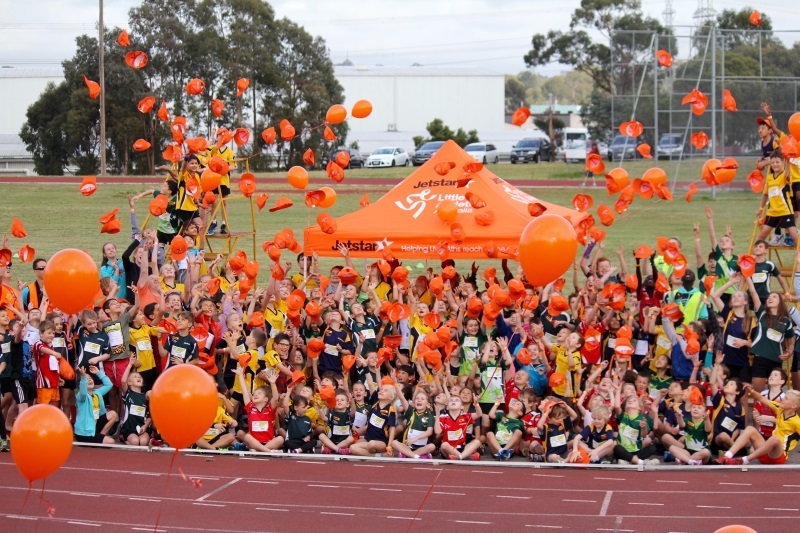 We recently celebrated Jetstar Day, and the track turned orange down at Ringwood Little Aths!! Thanks to all our athletes (and those parents who also joined in the fun) for digging out their orange gear for the day. Great fun had by everyone!! Thanks Jetstar. 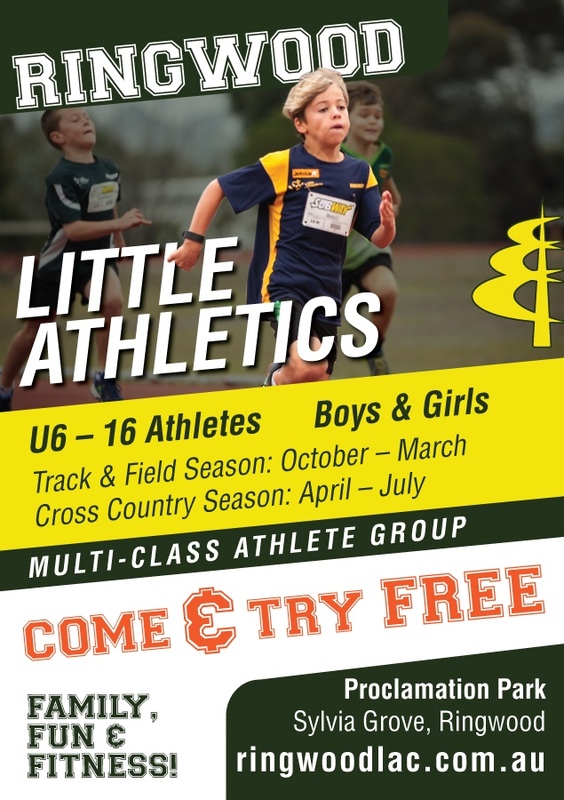 Want to contact us here at Ringwood Little Athletics? If you would like to join Ringwood Little Athletics, make sure you check out our 'Join RLAC page' - it answers many often asked questions!